Katrina came to our coaching session stuck. She is a personal chef, a personal trainer AND a health coach (amazing combination, isn't it?). Her dilemma was how to take a client from one service to another in order to serve them more fully. A client came to her for personal training and mentioned that she wanted to know more about Katrina's health coaching services. But Katrina became tongue-tied and didn't know how to bridge that gap…. She had a FABULOUS health coaching program in her head - she just didn't know how to tell everyone else just how great it was. She told me that she had so much info and so many resources to offer - she just didn't know how to organize them all and package it up to sell. She was overwhelmed with trying to put the whole package together BEFORE she told anyone about it. She wanted to have it all perfect - all the details figured out - before she felt like she could sell it. Sound familiar? I hear this ALL the time from coaches. They want to have everything completely DONE and LAID OUT before they present their program to the marketplace. I told Katrina that she was making it way too complicated. We scraped things down to the basics and started with her vision and scope for this program. 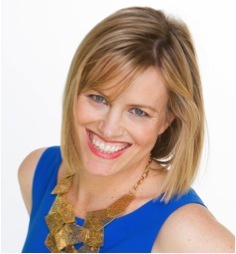 Katrina sold 2 coaching programs that very week! I showed her how to write just enough of her program to sell - and then how to complete the rest as she is coaching. She was so relieved - she felt like all the needless mind-chatter around "Is this program good enough?" and "Do I really know enough?" was totally diminished! She now has the powerful nuts and bolts of the coaching program, and her clients are super excited about it! She knows that the "fillers" - the final polishing pieces - can be filled in module by module as she coaches. Pretty powerful and relieving, isn't it? Here are 5 simple steps for you to begin shifting (and lifting the stress!) of selling your program. 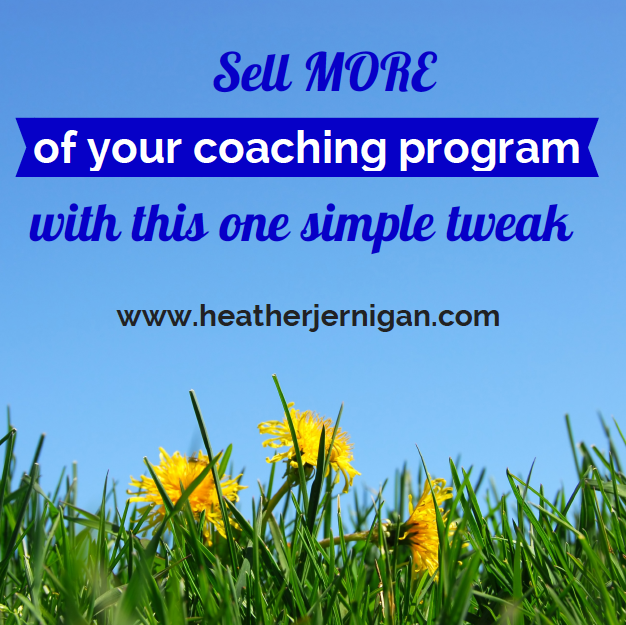 Throw out the idea that your coaching program has to be perfect before you sell it. Identify the scope/time commitment for this program. Knowing the timeframe will help you to not give away everything but the kitchen sink. Name each "step" or each coaching session. Include the benefit (why they need to go through each step). Brainstorm the extras to include, such as handouts, recipes, email support from you, etc. These will boost the perceived value. Now step back - look at all that you just created. Reflect on how awesome it is! Even if it's a rough draft for the moment, you have a POWERFUL foundation to use to put together the marketing copy for your program. Want some extra support with polishing your own program with grace and ease? I had so much fun with my June sale last month that next week I will be offering a brand new sale next week called Polish My Program. Participants in this private Skype session with me will not only get my eyes on their program, but they will also get a Program Coaching Template to be able to gracefully entice new clients into their program! They will walk away with clarity, confidence and a powerfully polished program to sell, sell, sell.